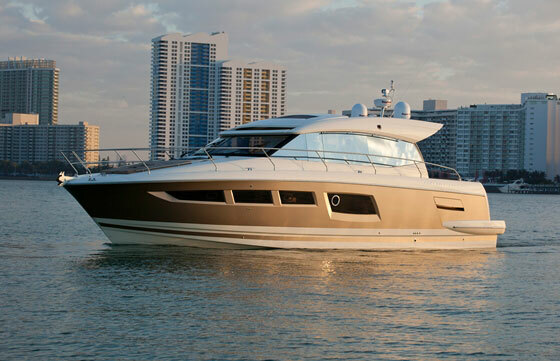 You won’t be in a rush to leave the luxury, yacht-style master suite on the new Prestige 500S. 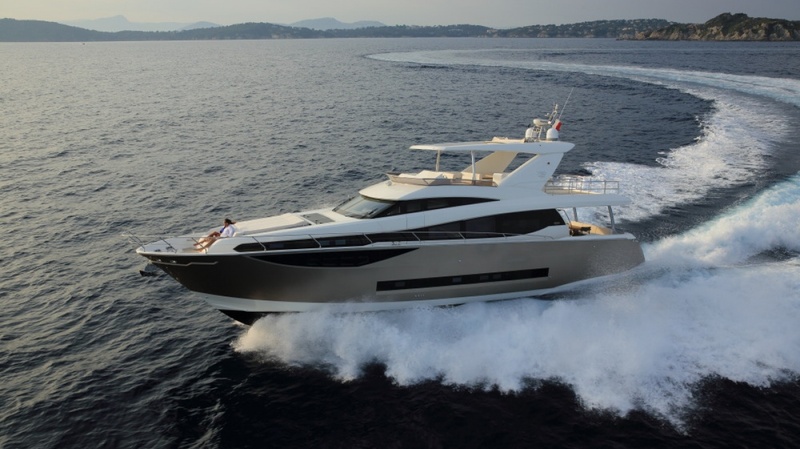 This elegant addition to the Prestige line of powerboats from France has a number of standout features. 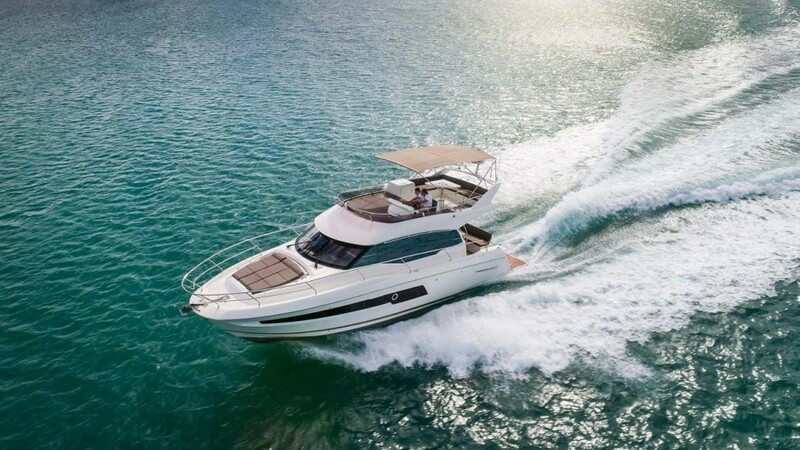 Among them is the full-beam master stateroom amidships that has its own companionway, private head, queen-sized berth, big hull windows, flat-screen TV, and booth-style seating to port—think of a quiet sunlit breakfast nook for two. This isn’t your typical stateroom. Not by a long shot. 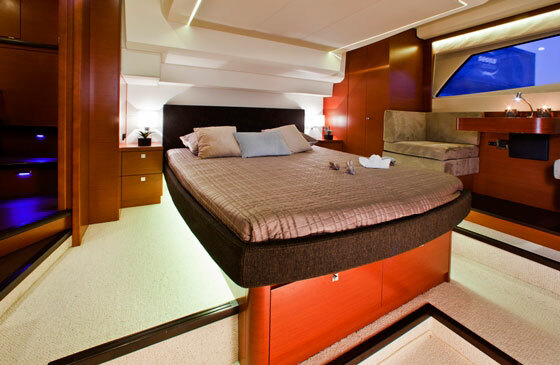 If anything, it’s a true owner’s suite, and that’s a luxury not often found on express-style boats in this LOA class. 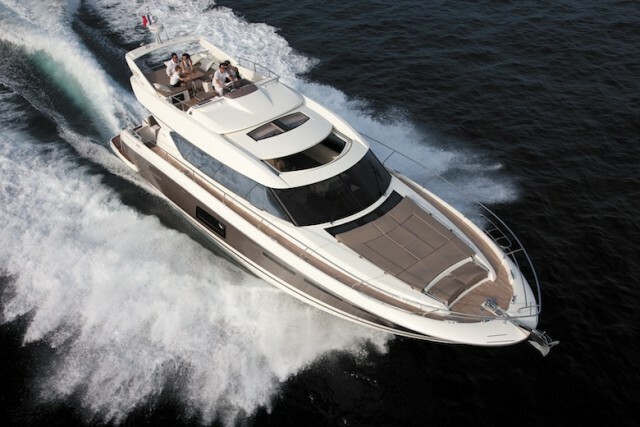 The stylish Prestige 500 S is driven efficiently (and at a top speed of nearly 30 knots) by Volvo Penta IPS 600 pods. 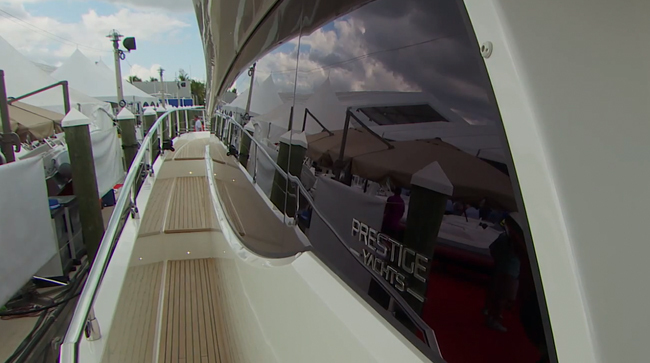 How was Prestige able to create this incredibly roomy and private overnight space? 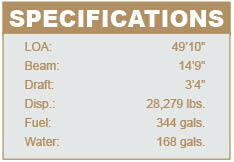 The quick answer is pod drive propulsion: The Prestige 500S was designed around Volvo Penta IPS 600s. 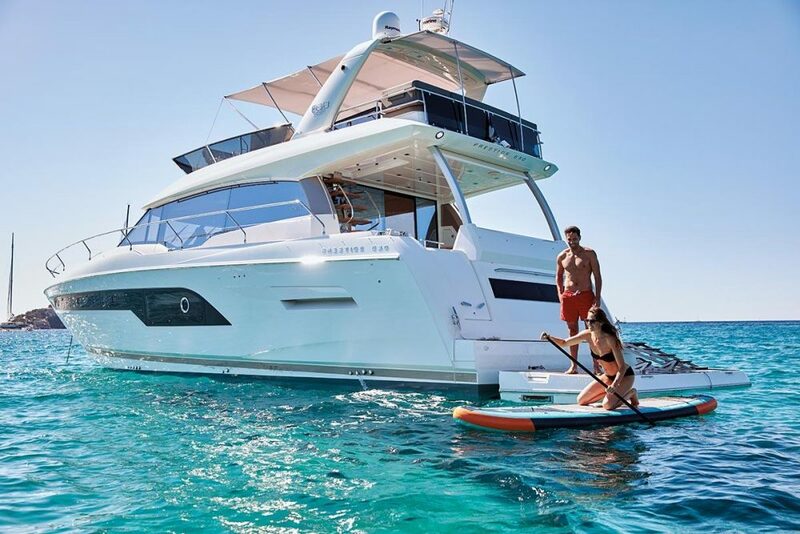 Because the pod drives are installed farther aft in the hull, there’s more room forward for a builder to use to advantage. 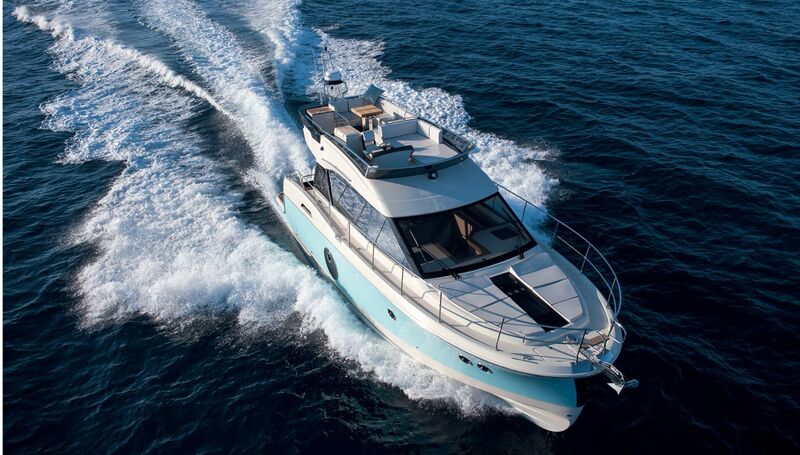 On this boat, the space is dedicated to cruising accommodations, which include two more staterooms for guests. The full-beam master stateroom features a breakfast nook for two. 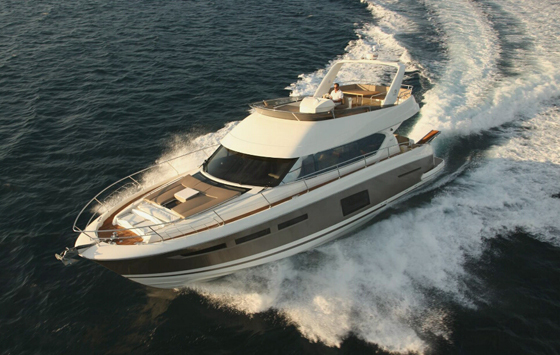 IPS does more than enhance interiors on this Prestige. It makes for solid performance. The 500S will run close to 30 knots at top-end speed and cruise near 15 knots with a range of more than 300 nautical miles. As you’d expect from IPS, acceleration is brisk (under six seconds to get onto plane) and the ride is quiet. One of the nicer features for the driver is the good visibility from the lower helm as there are windows all around. Although headroom is modest when seated at the helm bench, the operator can get more comfortable by opening the big sunroof overhead. 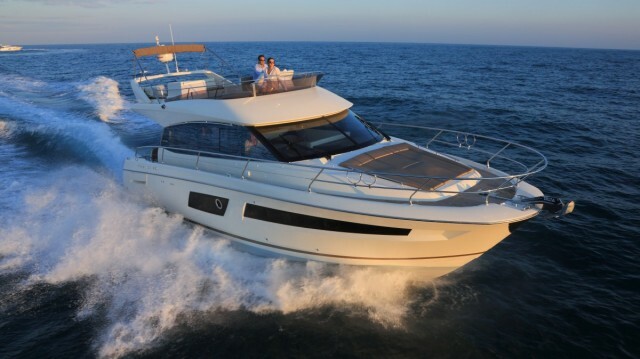 That’s the way to drive a boat that looks as if it were bred for the Med.